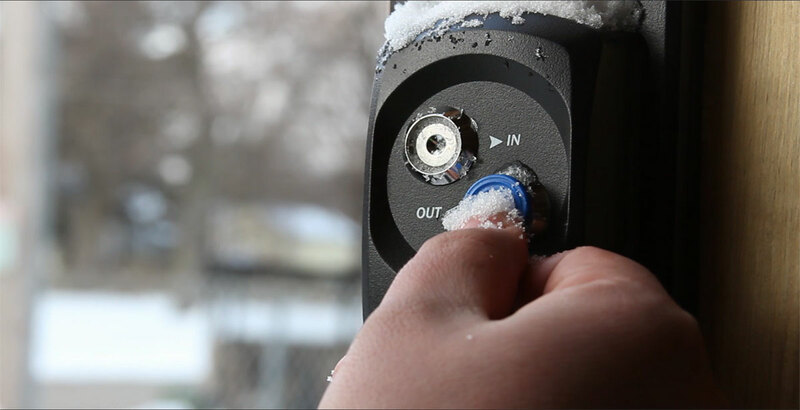 TimePilot Extreme Blue Enhanced is a weatherproof, rugged time and attendance system designed for larger organizations or those with multiple worksites. Make any corrections necessary on your phone, then send the data to headquarters for processing with the easy-to-use, top-of-the-line TimePilot Central Enterprise Edition software. 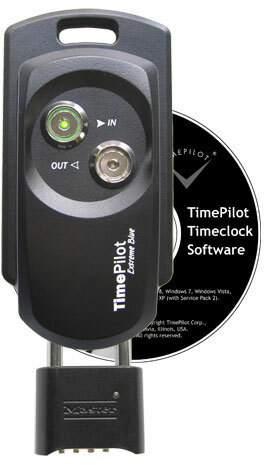 The TimePilot software merges data from multiple clocks—allowing employees to clock in or out at any clock in the system. It also prepares a wide variety of reports and exports the data to top payroll software and services like QuickBooks and ADP. Looking for a simpler version? 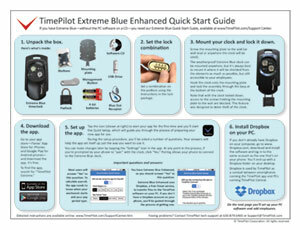 Take a look at TimePilot Extreme Blue. This system operates without the need for a computer—all the calculations are done in the app on your smartphone, enabling you to cut checks for your employees right at the worksite. Employees clock in and clock out by tapping their house-key sized iButton to the clock. 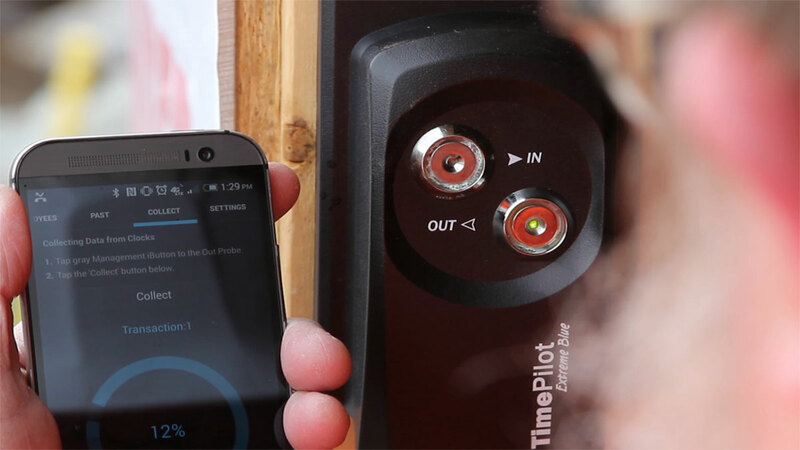 When it's time for payroll, a supervisor can download the clock-in and clock-out data right into the TimePilot smartphone app using Bluetooth wireless technology built into their Apple or Android phone and the Extreme Blue clock. Supervisors make any necessary corrections to their employees' hours within the app, and then with just a tap they send the data to headquarters via Dropbox, the free Cloud service. 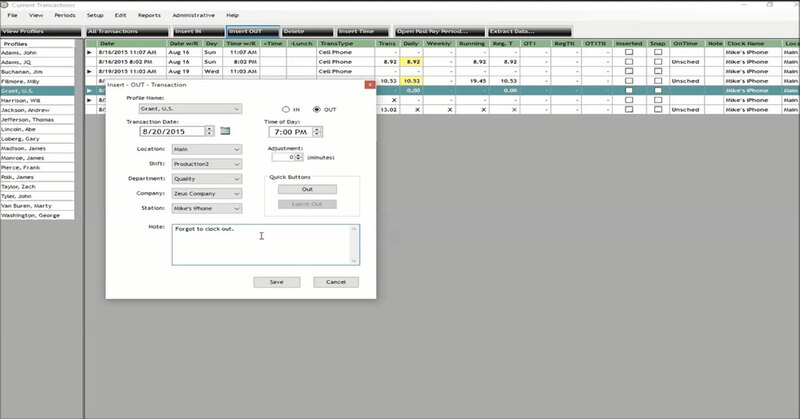 The easy-to-use TimePilot Enterprise Edition software at a headquarters computer retrieves the data from Dropbox, and from there you can make additional corrections, create and print reports and export your employee work hours to the top payroll software and services. TimePilot Extreme Blue Enhanced makes it easy to have multiple locations, all feeding their data up to Dropbox and down into TimePilot Central. You can have dozens or even hundreds of Extreme Blue clocks, all working together. Employees can clock in or out at any clock (of course, TimePilot Central will tell you which clock they used). Expanding your system is cost-effective, too: All you need is more Extreme Blue clocks (they start at $449 each, with quantity discounts) and more iButtons ($59 for 10, also with quantity discounts) for your employees. Remember, the app is free and there are no fees to add employees (maximum capacity is 2,000). Employees clock in and out at a TimePilot Extreme Blue clock. An organization can have multiple clocks, and employees can clock in or out at any of them. Extra clocks start at $449 with quantity discounts. 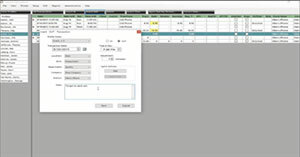 TimePilot's Enterprise Edition PC software downloads the data from Dropbox into the TimePilot database at headquarters. 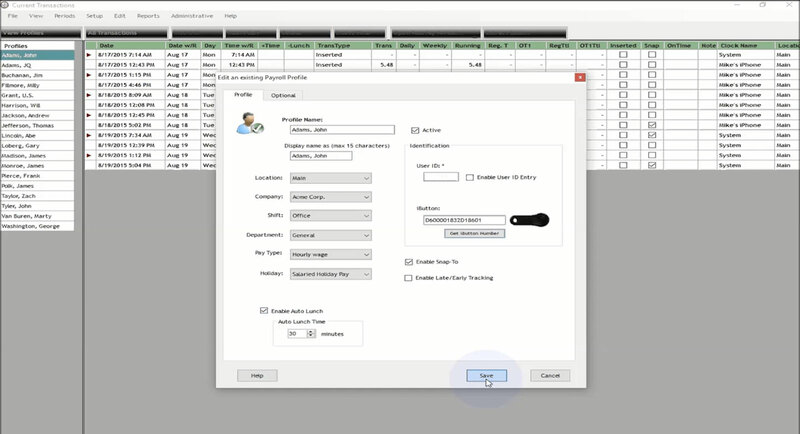 Corrections are made, reports are generated and the data is prepared for payroll using the TimePilot software. Order a starter kit today! 10 iButtons (enough for 10 employees; more are available at checkout). 1 Blue Dot Receptor (used for setting up employees on the system). Quick Start Guide with instructions on how to download the TimePilot smartphone app. Questions? 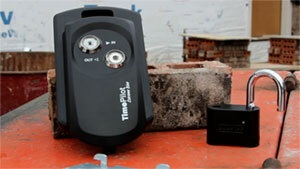 Give us a call at 1.630.879.6400 or e-mail us at Info@TimePilot.com. One year of technical support is just $100 (save $49!) if purchased with your Extreme Blue Enhanced system. If you are dissatisfied for any reason during the first 30 days after you purchase a TimePilot Extreme Blue	or Extreme Blue Enhanced system from TimePilot Corporation, we will refund the purchase price if you return the system to us, freight prepaid and insured for the value of the system. If you choose this option, we hope that you will take a few minutes to help	us understand why you're dissatisfied. Please be sure to call us for an RMA (Return Merchandise Authorization) number before returning the system. We can be reached at 630.879.6400 and Support@TimePilot.com.